Parties, dates, weddings, college bashes, movies, or impressing a crush? 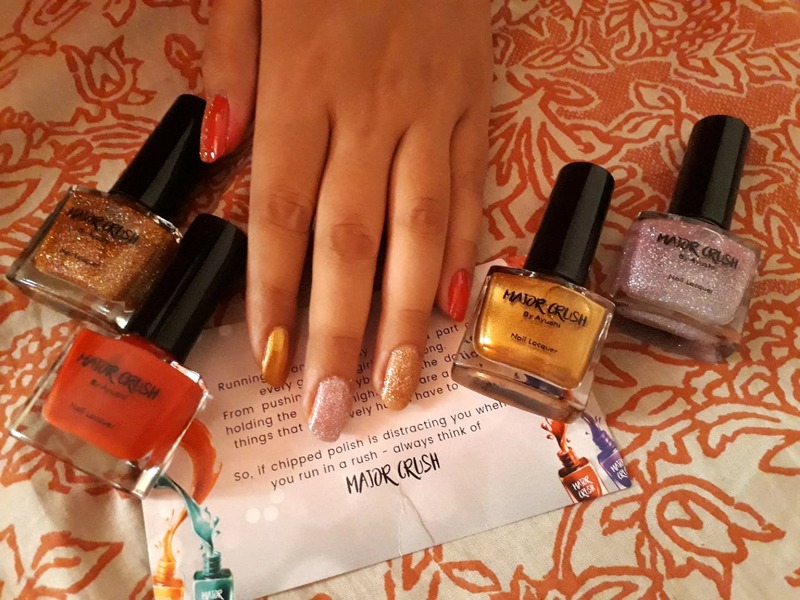 Make an impression with nail paints by Major Crush. A new entrant to the beauty market, this is owned by a young and dynamic blogger-entrepreneur Ayushi Anand. There’s Pop, Party, Work specific. There are metallic, shimmer, gloss, and matte; over 200 shades that are bound to bedazzle you. There are lovey-dovey pinks, seductive reds, sky blues, golden shimmers, and so much more. Based in Delhi, Ayushi knows that colours make up this world and they please hearts and opens doors. Major Crush has something for everyone - young and old.